Step onto the sand from the large deck! 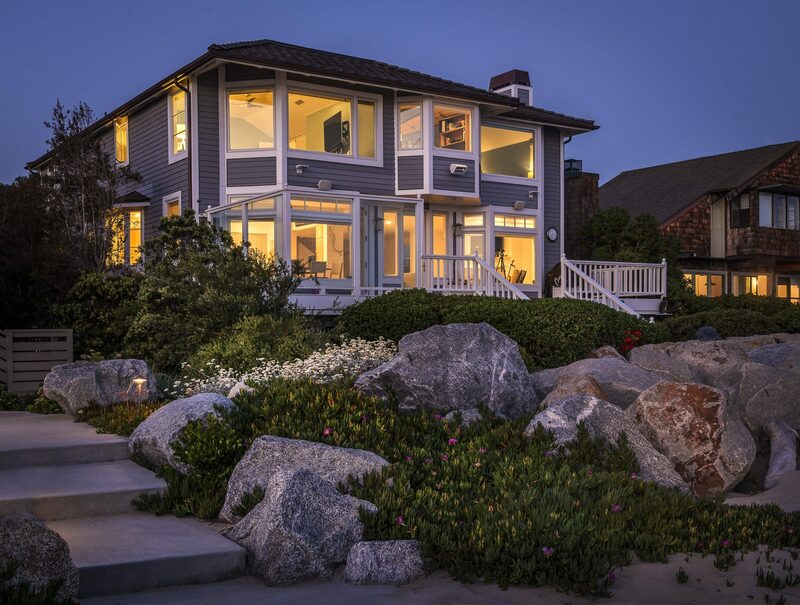 There are ocean views from almost every window throughout the home. This 3500+ sq.ft. home has a large kitchen with an eating area, center stove counter top, sub-zone refrigerator, office, den, bedroom on the main floor, an extra room for a second office or great room, dining room and much more. There is an elevator from the garage. Two legal lots to this property offers .51 acres.